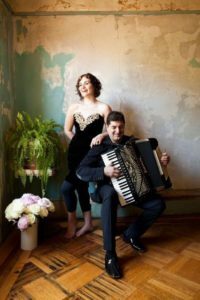 The wonderful and talented performing duo, Eva Salina and Peter Stan were on Artists on Art to talking about their mini-California West Coast tour for and her latest CD release, Eva Salina sings Šaban Bajramović, Lema, Lema. 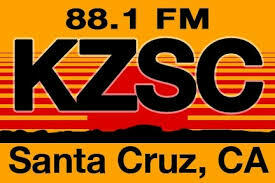 Santa Cruz native, Eva Salina is a deep lover of traditional Balkan music. She is a talented singer, performer, that has been studying traditional Balkan music her entire life. Peter Stan is an accomplished professional accordion player who teaches, and performs. Together, their mastery of their individual crafts makes for spectacular and visceral Balkan music. They play at Don Quixote’s Thursday, July 21st at 7:30PM. Come out to Felton. It’s gonna be a great dance party.